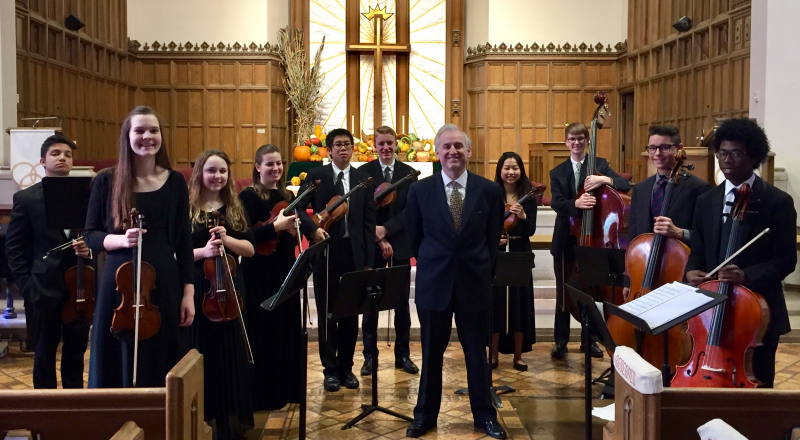 Enjoy the beautiful playing of the Camerata Chicago Academy Orchestra! 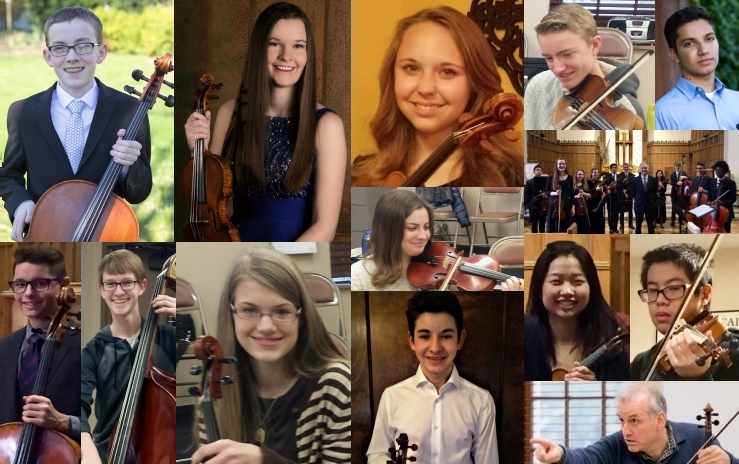 The Junior Academy, a smaller ensemble of students aged 8 – 14, will also perform. Telemann Concerto for Viola with violist Lily Smith. This is Lily’s debut as soloist. Vivaldi Concerto No 11 in D Minor for Two Violins and Cello. 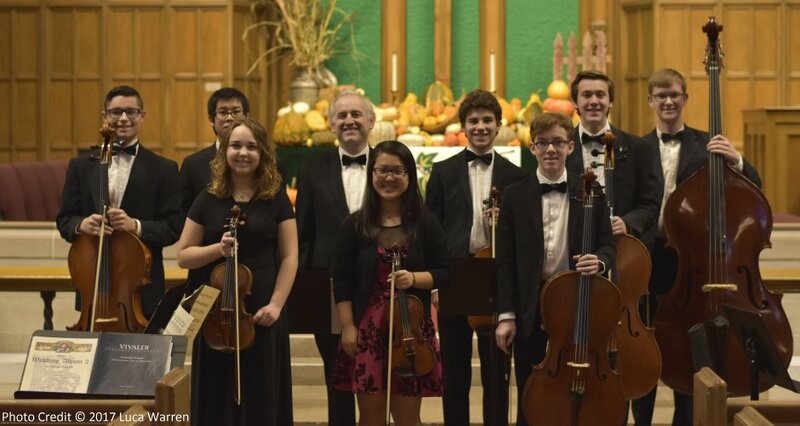 Our three soloists are violinists Amelia Piscitelli and Kevin Shi and cellist Luca Warren. Handel Concerto Grosso in G Major Opus6 No. 1. The Concerto Grosso includes within it a Concertino – a small group of three players who perform with the orchestra as soloists. Tartini Sonata in D performed by the Junior Academy! A special short appearance by the Junior Academy ensemble (Aged 8 – 13). From Left: Luca Warren, Dana Yu, Wil Lyon, Tabitha Rea, Mark Chiodras, Lily Smith, Kevin Shi, Amelia Piscitelli, Cameron Fuller, Ananya Moses. Our new harpsichord player Bethany Taylor will also provide the continuo. 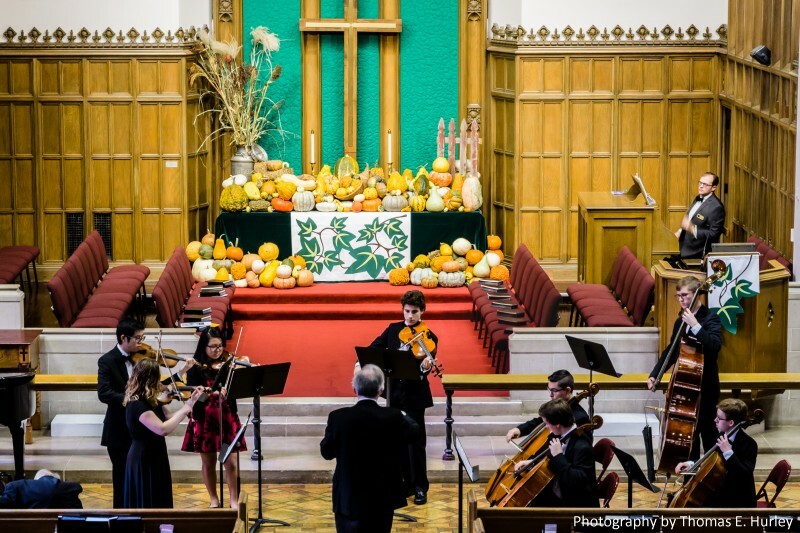 Watch a video of Amelia performing the Svendsen Romance with Camerata Chicago in 2016. 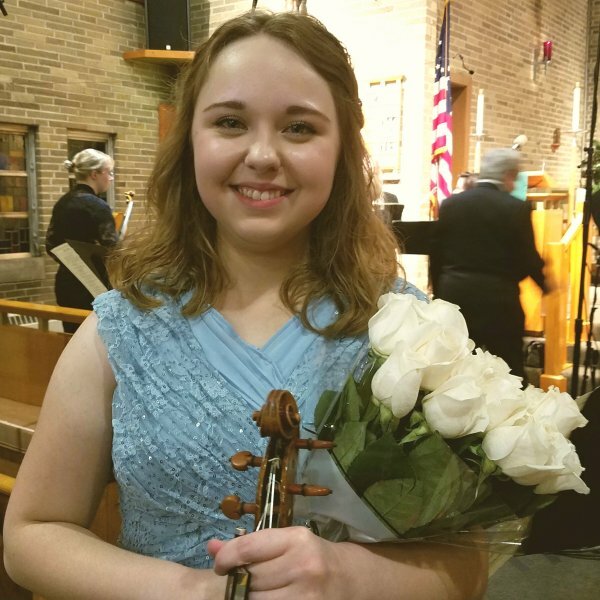 Virtuoso 16 year old violinist Amelia Piscitelli will perform Vivaldi’s Four Seasons. 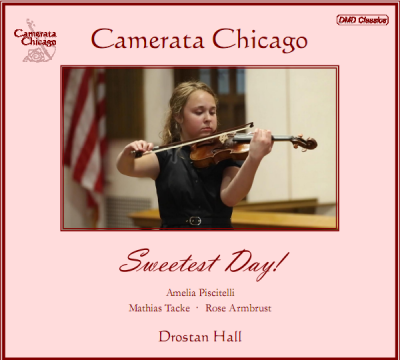 Receive a gift of our superb CD of Amelia Piscitelli performing the Svendsen Romance with Camerata Chicago when you make a donation to the orchestra. 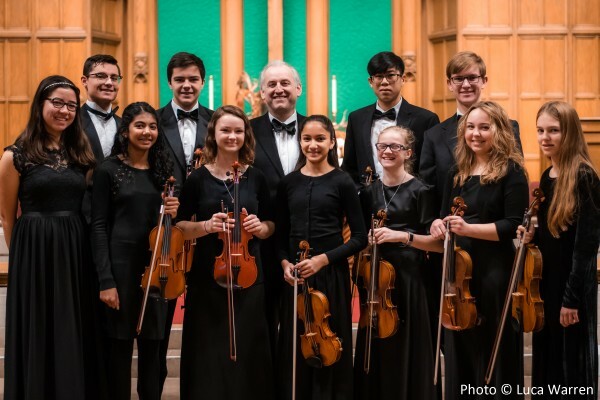 Enjoy the beautiful playing of the Camerata Chicago Academy Orchestra! Bach Brandenburg Concerto No. 3. Telemann Suite performed by the Junior Academy! 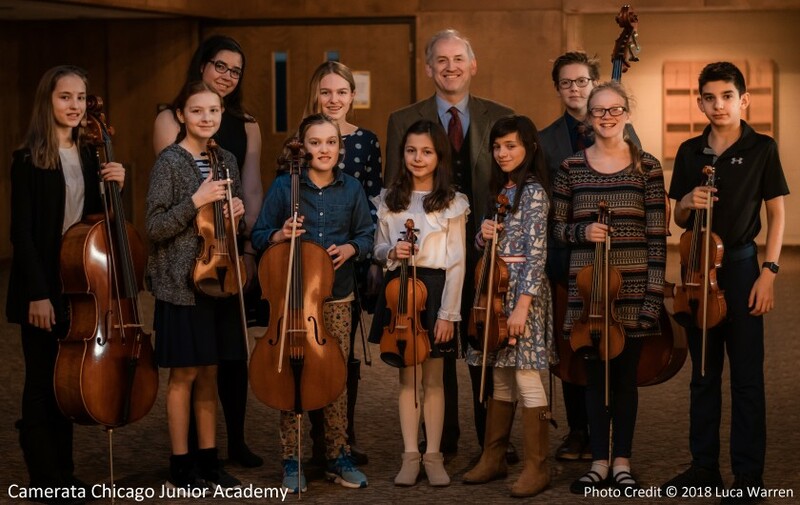 A special short debut appearance by the Junior Academy ensemble (Aged 8 – 13). 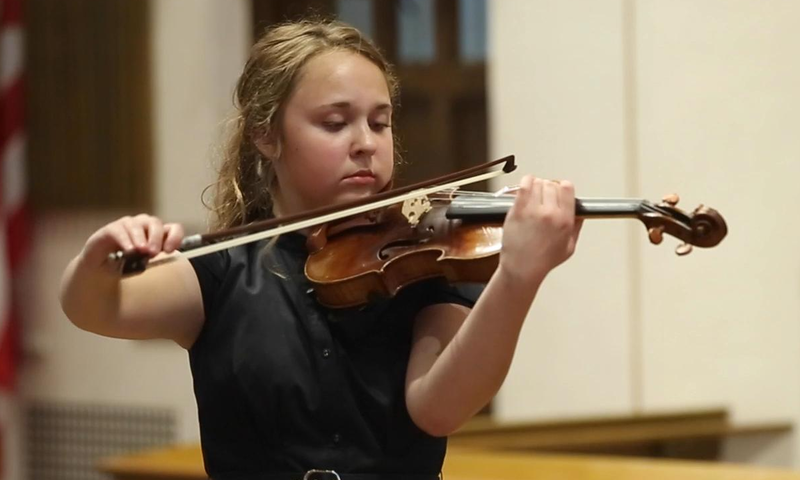 Vivaldi’s famous Four Seasons will be performed by 16 year old virtuoso violinist Amelia Piscitelli. 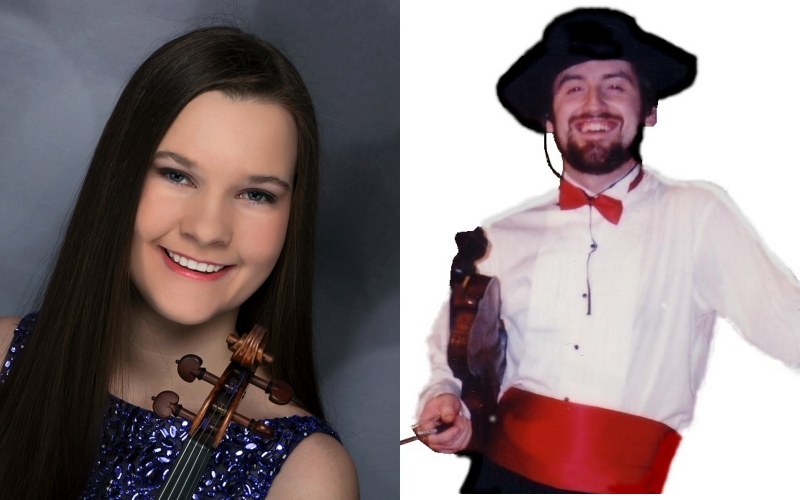 Special Children's Segment: Ellen Maloney will perform the delightful classic story of Ferdinand the Bull for solo violin and narrator by Alan Ridout and Munro Leaf narrated by Drostan Hall in a special segment for children. 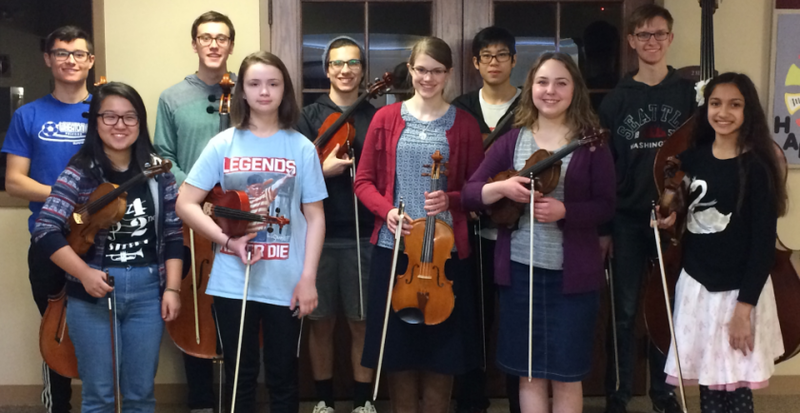 From left to right: Joe Brackmann (cello), Ellen Maloney (violin), Amelia Piscitelli (violin), Joe Williamson (violin), Ashwin Moses (violin), Madeline Abel (Principal Violin II), Luca Warren (Principal Cello), Cameron Fuller (double bass), Lily Smith (viola), Isaac Lubben (violin), Allison Chang (principal viola), Kevin Shi (violin).